Peter is the managing partner of Healthcare Consulting & Research Center in Bratislava (SK) and lecturer on Methods of Economic Evaluation in Healthcare at the Faculty of Management at the University of Economics, Prague (CZ). He is the graduate of the University of Economics in Bratislava (1999), he helds a postgraduate MSc. Degree in health management services from the Semmelweis University in Budapest (2003) and Ph.D. in Marketing in Healthcare from University of Economics in Bratislava (2015). During 2002 – 2004, Peter was the chief advisor of Minister of Health Rudolf Zajac. He was fully responsible for the expert part of the health reform, for daily management of the Reform Team and for operative tasks linked to the ministry. During years 2005 - 2014, Peter was the founder and executive director of Health Policy Institute, a Bratislava based health policy think-tank. In 2006-2007 he was member of Advisory Committee to Ján Gajdoš, Chairman of Healthcare Surveillance Authority in Slovakia. During 2006 – 2007, Peter was advisor to Lajos Molnár, Minister of Health in Hungary. Between 2007 – 2009, Peter was advisor to Tomáš Julínek, Minister of Health in Czech Republic. Between 2010 - 2015, Peter was the specialist on hospital contracting in Plan MEDIPARTNER - an integrated health care Plan, where he was responsible for contracting hospitals, innovative payment mechanisms and communication with hospitals. During 2010 - 2012, Peter was key health insurance expert of Eureko/Achmea in arbitration proceedings in case Eureka/Achmea vs. Slovak Republic. The arbitration was won by Eureka/Achmea. 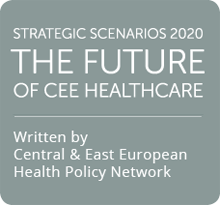 Together with Rudolf Zajac, Peter is the co-author of a publication „Healthcare Reform Strategy – a Real Reform for the Citizen (2001)" that served as main source for the health care reform implemented in Slovakia in 2004. He is also the co-author of „Health Systems in Transition: Slovakia, 2011" a prestigious publication published by the European Observatory on Health Systems and Policies.